President Obama welcomed Muslim community members to the White House last Tuesday for a shared Iftar meal to celebrate Ramadan. The President invited members of Congress and Muslim guests from across the country to break fast together in Washington, D.C. 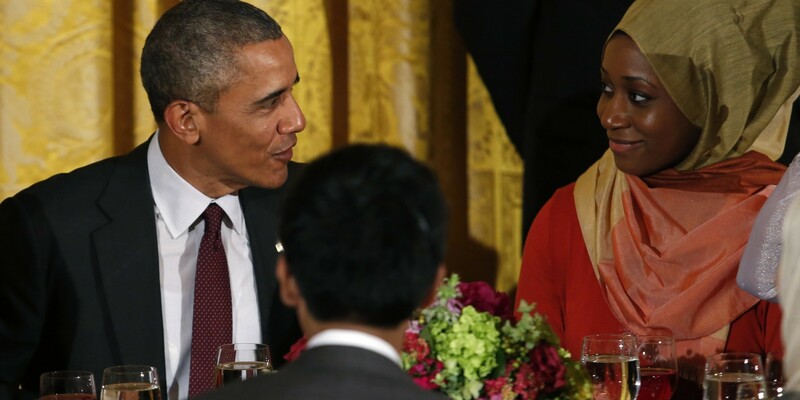 This is the seventh year that President Obama has hosted an Iftar dinner as a way to celebrate the sacred days of this holy month for Muslims living in the United States. The dinner symbolized the diversity that defines the United States as the President wished Muslim Americans across the country “Ramadan Kareem”. President Obama stressed the importance of religious freedom and the right for people to practice their faiths freely. He remarked on the essence of Ramadan as a time of reflection and devotion to God through prayer and fasting. His comments centered on honoring the Islamic values of peace, charity and forgiveness. The President did not shy away from acknowledging the tragedies America’s religious communities have faced over the last year. “When our values are threatened, we come together as one nation. When three young Muslim Americans were brutally murdered in Chapel Hill earlier this year, Americans of all faiths rallied around that community… We insist that nobody should be targeted because of who they are, or what they look like, who they love, how they worship. We stand united against these hateful acts,” President Obama stated in his pre-dinner remarks. He also highlighted the personal narratives of innovative Muslim Americans including Samantha Elauf, who won a Supreme Court case defending her right to wear a hijab, Munira Khalif who started an education organization for girls in East Africa, and Batoul Abuharb who launched a vaccination distribution program for Palestinian refugees.